EU Commissioner Andrus Ansip, in charge of EU digital issues, said in an interview with the South China Morning Post that he is concerned that Chinese companies are legally bound to share information with the government’s intelligence apparatus back home. 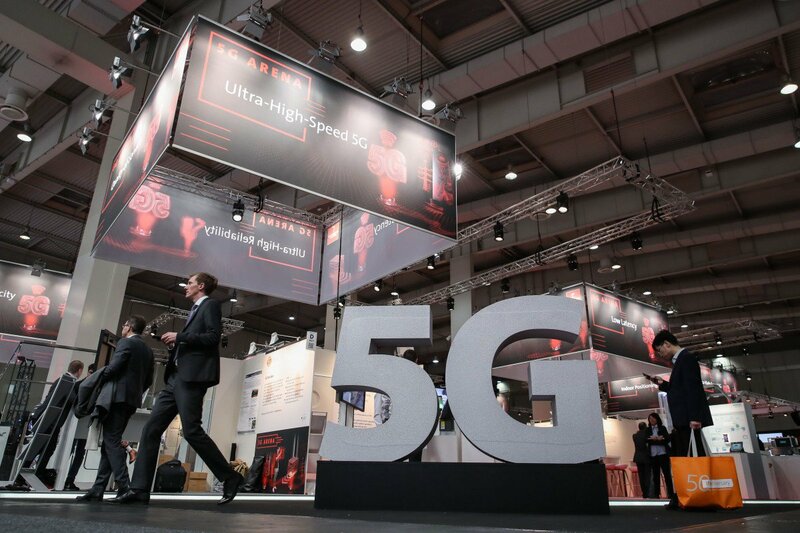 Ansip highlighted the urgency for the EU to complete its assessment of potential security threats, as several member nations plan to issue licenses for 5G networks soon. “Indeed, we will have to deal with risk assessment and the need for action is now; otherwise it will be too late,” Ansip said. “This has an influence on our economy and our democracy. Any vulnerability in 5G networks or a cyberattack targeting the future networks in one member state would affect the union as a whole,” he said. Austria, Belgium, the Czech Republic, France, Germany, Greece, Hungary, Ireland, the Netherlands, Lithuania and Portugal are all preparing to auction 5G licenses this year; six other EU countries will do so next year. According to Ansip, individual EU countries may decide whether they want to ban any company on national security grounds. After an investigation which lasted for more than three months, the Belgian Center for Cybersecurity (CCB) has found no indications that Huawei was spying and is therefore not issuing a negative advise to the government on the use of Huawei’s equipment. Proximus, Orange en Telenet/Base are all using Huawei’s equipment. It is now up to Prime Minister Charles Michel to take a stand, taking into account not only security, but all political and diplomatic aspects of the case. Huawei announced that it aimed to increase the revenue of its consumer business group, which chiefly includes smartphones and personal computers, to USD100 billion in three years and to USD150 billion in five years. The announcement came after the business group posted USD52.5 billion in revenue last year, up 45% year-on-year. It also marked Huawei achieving the target of USD50 billion two years ahead of schedule. Yu Chengdong, CEO of Huawei’s Consumer Business Group, said that the company is likely to become the largest smartphone vendor by the end of this year at the earliest, although its products are not available in the United States and South Korea due to “non-market factors”. He added that currently, one of every three smartphones sold in China is from Huawei and he hopes that in the near future, two out of every three smartphones sold in China will be from Huawei. The company is also becoming the top smartphone vendor in several European countries. In 2018, Huawei shipped over 200 million smartphones and it is likely to ship about 230 to 250 million units this year. Yu also unveiled the P30 smartphone series in Shanghai. Priced from CNY3,988 in China, the P30 Pro comes with optimized photo-shooting capabilities. By leveraging artificial intelligence and a new light sensor, the new model would significantly boost light absorption to create better photos, even in near darkness. Meanwhile, Unisoc Technologies Co, a core chip subsidiary of Tsinghua Unigroup, has unveiled its first 5G chipset for the Internet of Things (IoT) devices. The IVY510 chipset can deliver high data-rate mobile broadband services such as streaming augmented reality and virtual reality, as well as 4K and 8K high-definition video. “IoT will generate bigger opportunities than smartphones in the 5G era,” Zhou Chen, Vice President at Unisoc, said on the sidelines of the China Information Technology Expo in Shenzhen. Products powered by the new chipset will hit the market in the fourth quarter of this year. Unisoc is a leading fabless semiconductor company, founded after its parent company acquired Spreadtrum Communications, the world’s third-largest mobile phone chipmaker, in 2013, and RDA Microelectronics, the fourth-largest, in 2014. More applications for 5G technology are shaping up. The Shanghai General Hospital and China Mobile, recently announced a partnership to develop communications on 5G between ambulances and the hospital. The two partners said 5G may be the deciding factor between life and death as they announced plans to establish a 5G technology-based treatment center. It will connect 40 hospitals in the Yangtze River Delta for long-distance surgery education services.